If you wish to operate internationally, there is a de facto requirement that your written communications and business presentations are produced and presented in English. If English is not your native language, there are other considerations beyond a direct translation, for example fluency, intonation and appropriate choice of words. Translations need fine tuning to work most effectively. For example, is the language appropriate? Does it make sense and convey the right message to your audience? Have steps been taken to avoid appearing overly formal, or too casual? This course is designed for business professionals who speak English as their secondary or tertiary language. You are a competent English speaker in normal business-oriented conversations, but maybe lack a little confidence when it comes to advanced business English, or delivering your presentations in English. 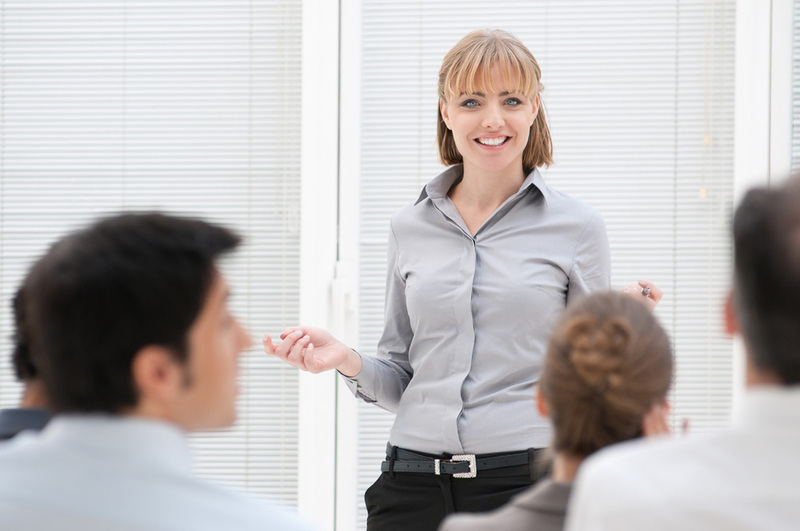 English Business Presentations can be delivered in-house or at our dedicated coaching studio. It is available in one or two day formats, normally for a maximum of five delegates. Method: Unlike some business English courses, the process is highly participative. You will receive individual coaching on the content and delivery of an English business presentation with which you are familiar. This process is videoed for post-programme review. Vocal projection, message preparation and presentation structure are included, with a particular focus throughout on creating a cohesive, consistent sales message. This business English course will ensure that post-coaching your presentation will avoid offence, use appropriate language and properly consider your audience. Post-programme support: View your coaching video online as a registered user of our YouRecall service. Customised options include a full video edit and supporting documentation, used for message reinforcement or wider e-learning roll-out plans. The duration of access is flexible.